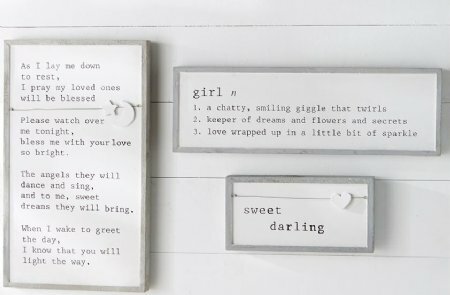 Girl Definition Plaque. Wooden plaque features distressed gray-washed wooden frame, printed girl "definition" and hangs with sawtooth hardware. Size: 9" x 30"